STUNNING, 1 Owner, Low mileage, VW POLO 1.8 GTI. Finished in DEEP BLACK PEARL with contrasting retro cloth trim. This Polo is still under Manufacturers Warranty until March 2019 for that extra peace of mind. The Polo is one of the best selling and popular small cars around. It is very comfortable and practical, with a distinct upmarket feel to it. Features include Alloys, DAB, 2 Keys, B/Tooth and Cruise. 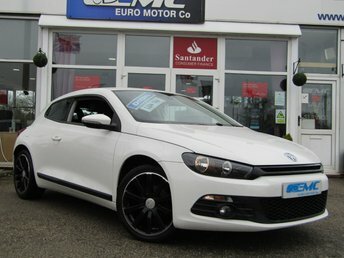 STUNNING, 1 OWNER, £30 ROAD TAX, VW SCIROCCO GT BLUEMOTION TECH 2.0 TDI, DSG AUTO (Face Lift). Finished in PURE WHITE with contrasting Leather / Alcantara interior. 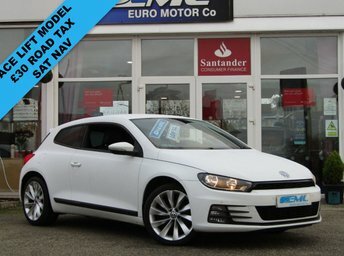 Features include SAT NAV, B/Tooth, Front and Rear Parking Sensors, DAB, Cruise and much more. 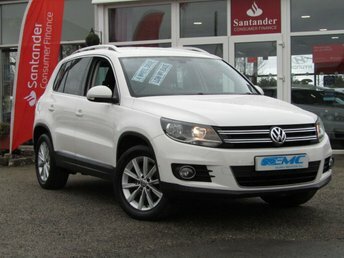 JCT VW Bradford Dealer serviced at 20099 miles, 39159 miles, 50019 miles, 70332 miles and at 85585 miles. For a friendly welcome and sound advice, make sure you start the search for your next car right here at Euro Motor Company. We've years of experience helping drivers in the area to find their dream vehicles and we'll do everything we can to help you find a used Volkswagen in Rotherham that meets your needs. Whether you're in the market for a motoring icon like the sporty Volkswagen Golf, a small yet perfectly formed city car such as the up! 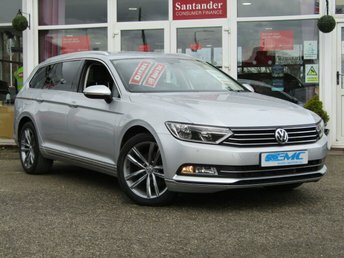 or a spacious family model like a used Passat Estate, the team at Euro Motor Company is here to help. View our latest line-up here on the website and don't forget to contact a member of the showroom team to arrange a test drive.